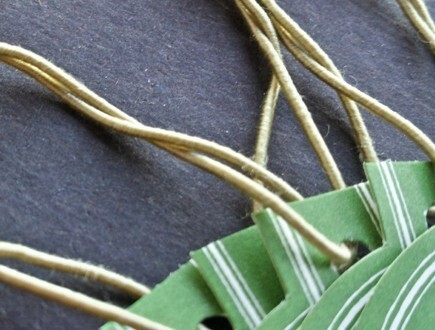 Our standard elastic works well with many different types of tag stringing projects. 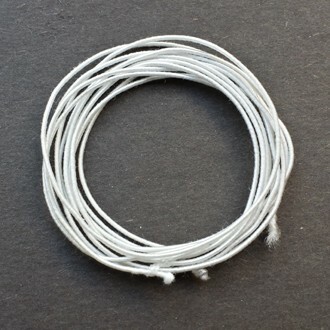 It is also the most commonly specified elastic option we have. 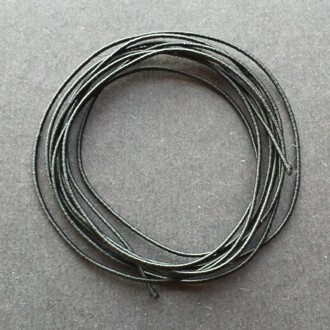 We always stock standard elastic in black, white, red, and a mustard antique gold color. 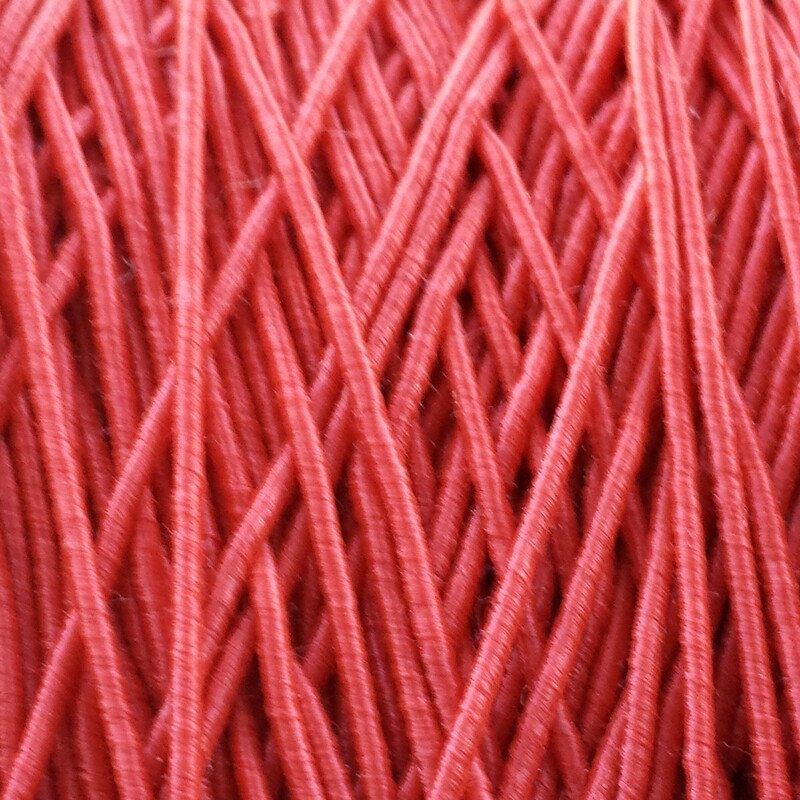 This type of elastic is a good choice for any product that is packaged in a jar, bottle, or container. 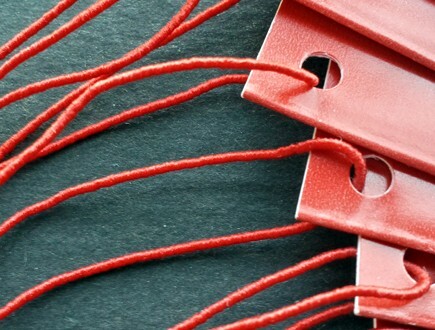 We also see it used for luggage, valet, and coat check tags. 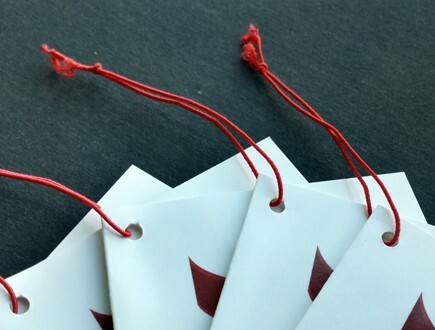 This option is also useful for quickly applying tags to apparel and other gifts items in a retail context. 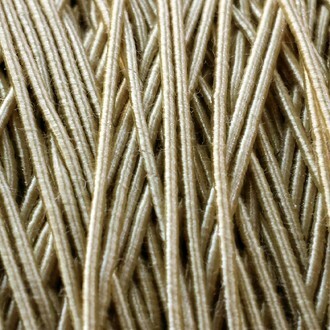 TAP OR CLICK ON IMAGES TO ENLARGE. 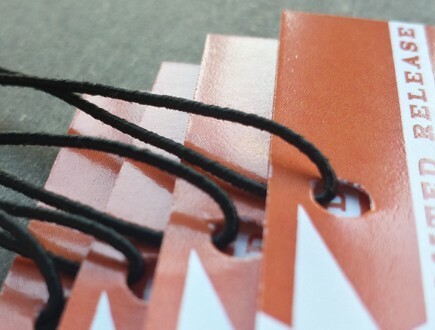 Our standard black elastic is very often selected for hang tags on bottles of all kinds. 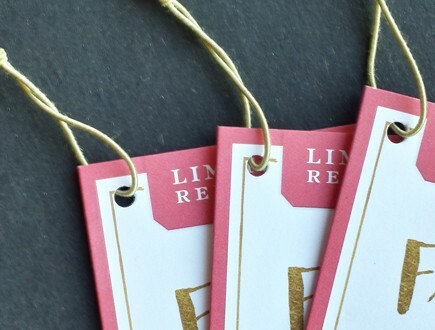 Black is a natural choice for matching the color palette of almost any hang tag design, and looks quite appealing when paired with a monochromatic design. 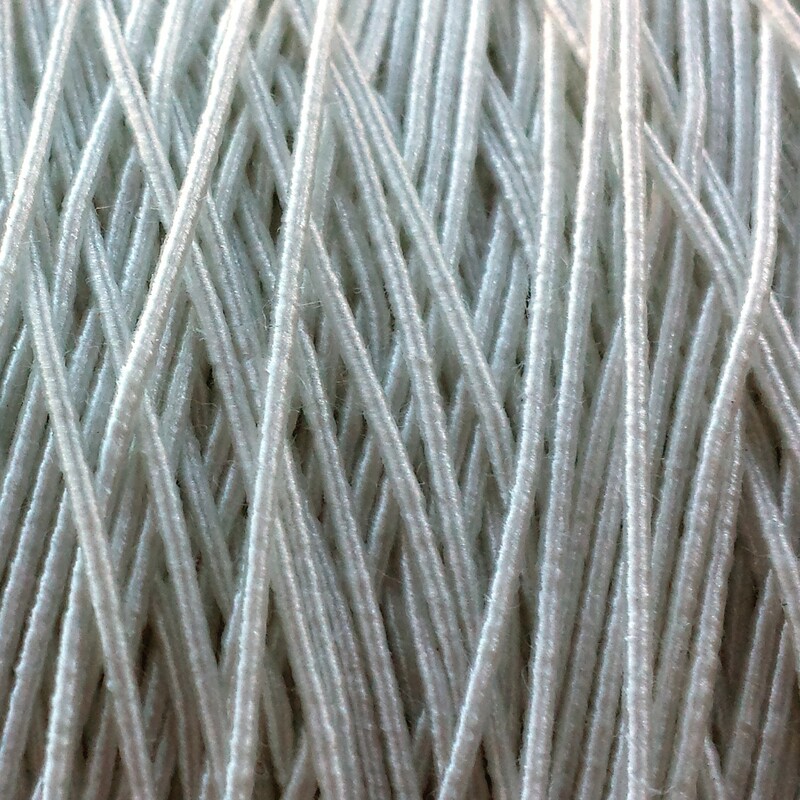 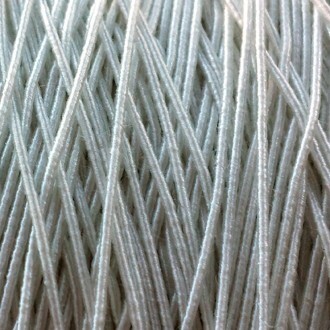 Our standard white elastic is often used for health and wellness products, or bath and toiletry items. 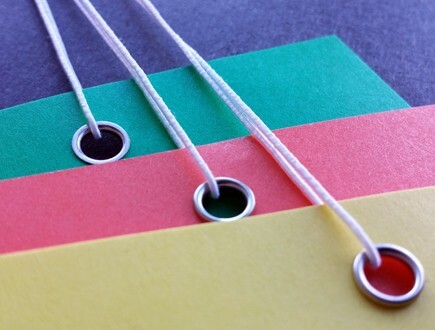 This option, slightly less expensive than the other three colors, is the most economical option for stringing a hang tag with elastic. 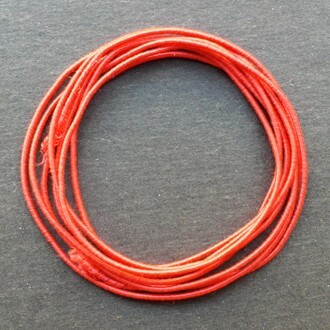 Our standard red elastic is used on gift items, such as for holidays or romantic occasions. 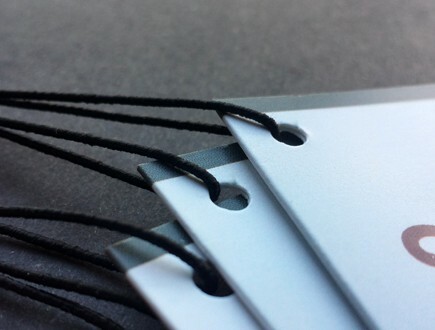 This is bold, eye-catching alternative to standard black or white elastic works best, in our experience, with one-color printing on a pale stock. 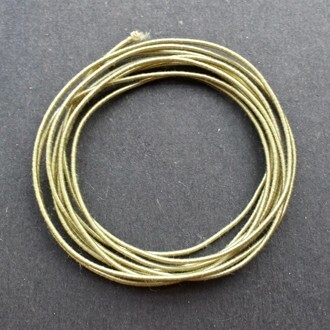 Our standard antique gold elastic has been referred to as 'mustard' or 'dyed gold' and is a novel, economical alternative to using a much more expensive gold metallic elastic. 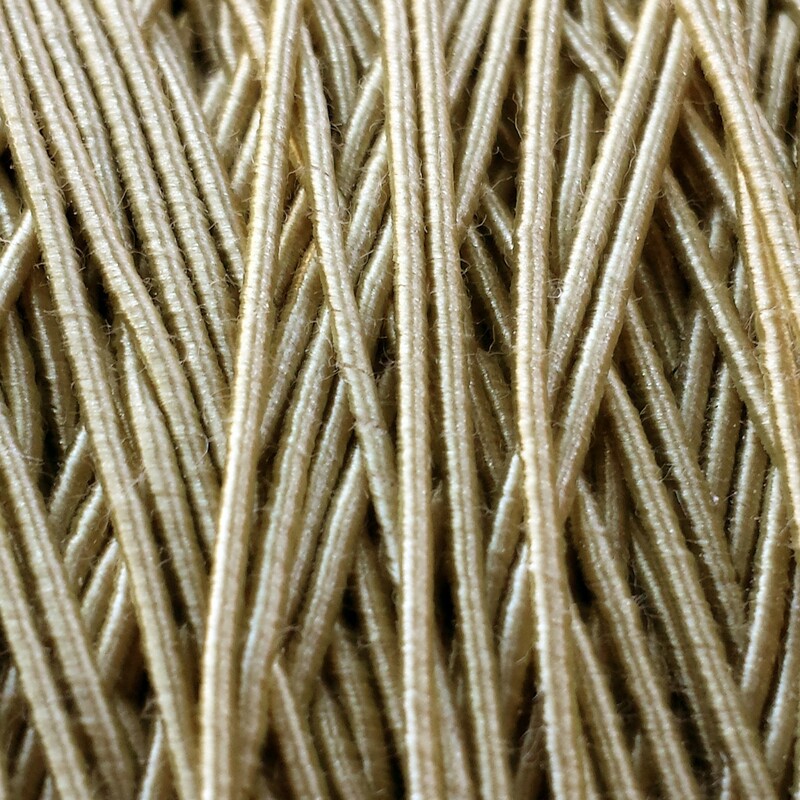 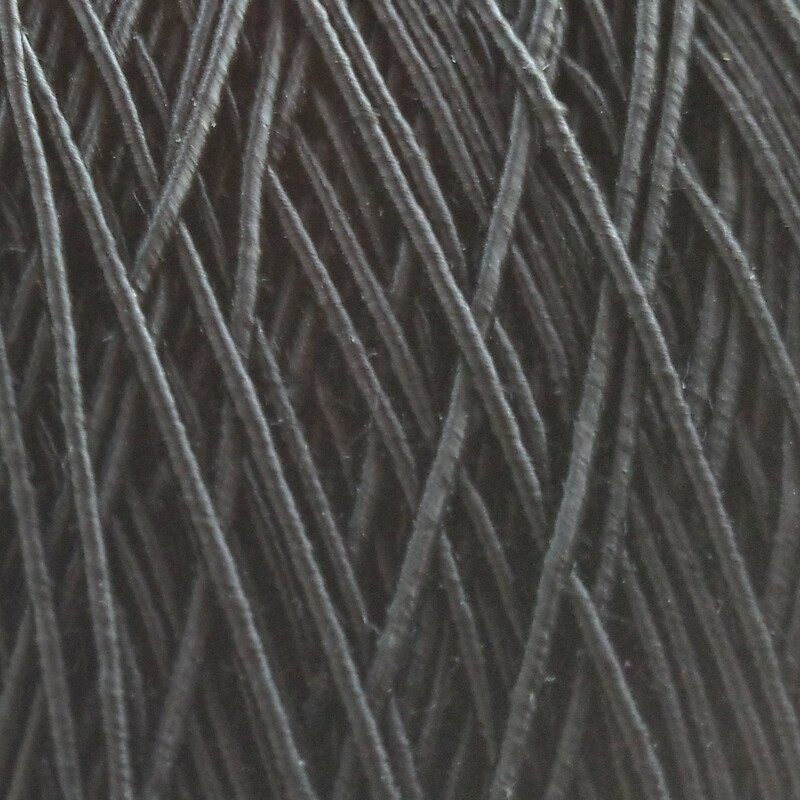 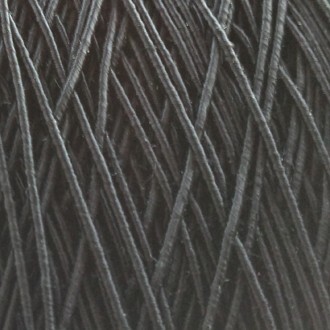 This color of elastic can be found on specialty food products and wines.